Hello! 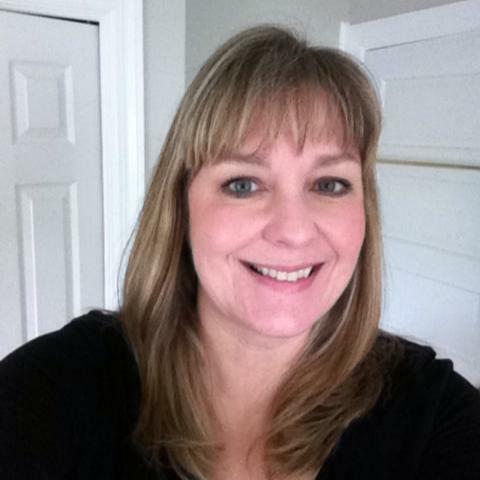 Thank you for joining us in this Holiday blog hop. 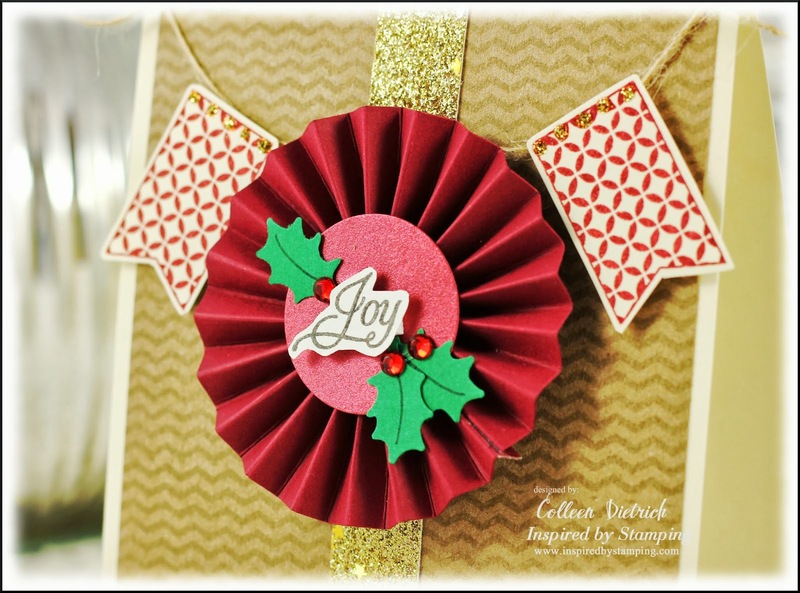 Inspired By Stamping and WorldWin Papers has teamed up to offer you over 15 inspiring Christmas projects to jump start your holiday season. We hope that you’ll find just the right inspiration for your next Christmas themed project. To be eligible for the giveaway, please visit each blog in the list, grabbing the “letter” code as you go. Once you’ve landed on our last blog, which is the Inspired by Stamping blog, you will leave a comment with the secret phrase created by putting together all of those letters that you collect from each blog. Winners of the giveaway will be announced on October 23rd on both the WorldWin Papers and Inspired by Stamping blogs. The designers have worked hard to produce all of these fantastic creations, and we would like to invite you to leave some comments on their individual blogs as well. So what are you waiting for…let the hopping begin! 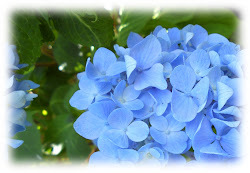 at the beginning of the hop, head over to WorldWin's blog. WorldWin was very generous to us, sending so many different papers to try. One of the first things that caught my eye is this Kromekote® Brushed Silver Foil Mirror Finish cardstock. It became the fabulous base for my Christmas card, decorated to look like a present. It positively gleams! I have never used anything so all-out glamorous (paper-wise) before. The gift "tag" on this faux Christmas was made with December 25th Labels from Inspired By Stamping. I stamped it twice: first on a piece of Petallics® Wine Cup Smooth & Sparkly Cardstock. What a pretty color, like a glass of claret-colored wine. And the sparkle is AMAZING! Then I stamped it once again on a piece of Worldwin® Cardstock in White, colored it and paper-pieced it. I used some shimmery Smooch inks to amp up the sparkle. 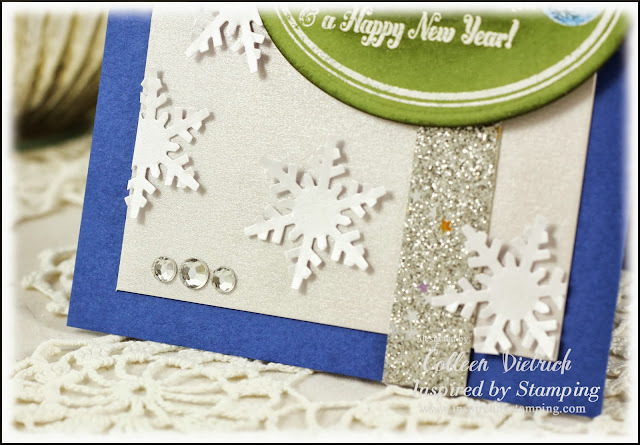 I love blue and silver paired with snowflakes. On the next card, the base is Original Colormates® Deep Belgium Blue, topped with a piece of Petallics® Silver Ore. 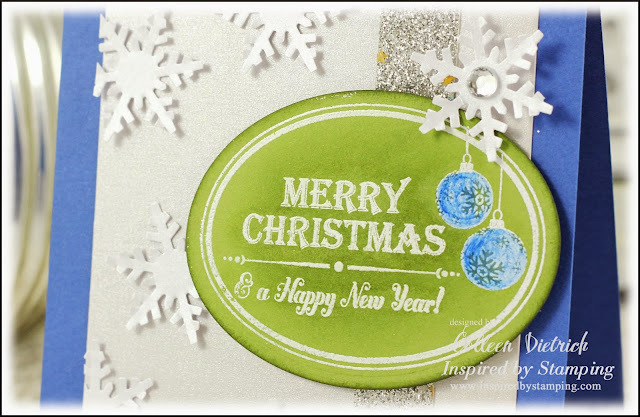 I heat-embossed a label from December 25th Labels onto Original Colormates® Dark Spring Green and used a Copic marker to color in the ornaments so they'd match my blue base. The snowflakes were punched using Petallics® Snow Willow, and the glittery Silver Metallic Tape adds more sparkle. Sparkle is key where snowflakes are involved! The next card is perhaps my fave of this trio. 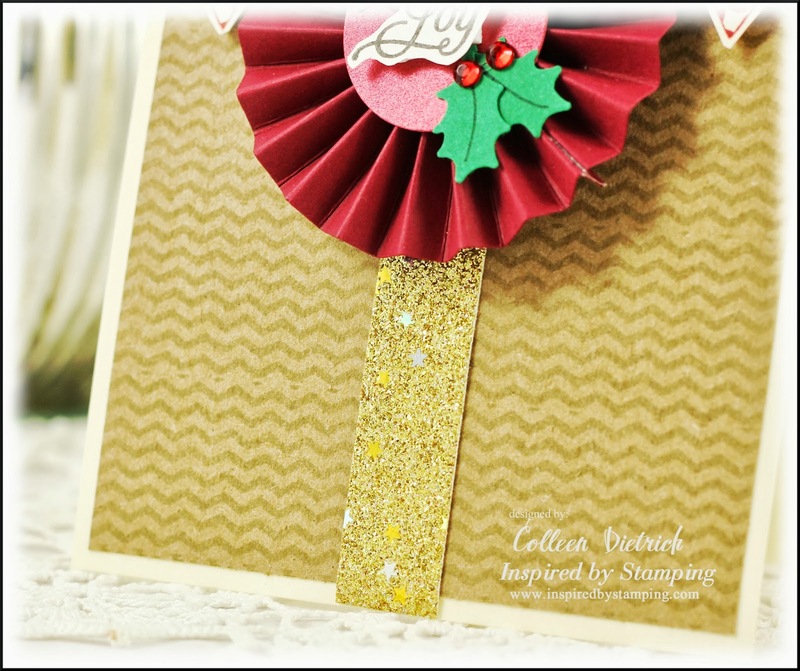 I stamped a zigzag pattern from Background Basics II on a piece of Worldwin® Cardstock Packs Kraft cardstock and layered it onto a Worldwin® Cardstock Packs Ivory base. I added a strip of Gold Glitter Tape on top of that. The medallion was made from a strip of Original Colormates® Deep Berry Red the old-fashioned way, scoring every 1/4" and then folding. I punched a circle of Petallics® Wine Cup to secure on top with craft glue. 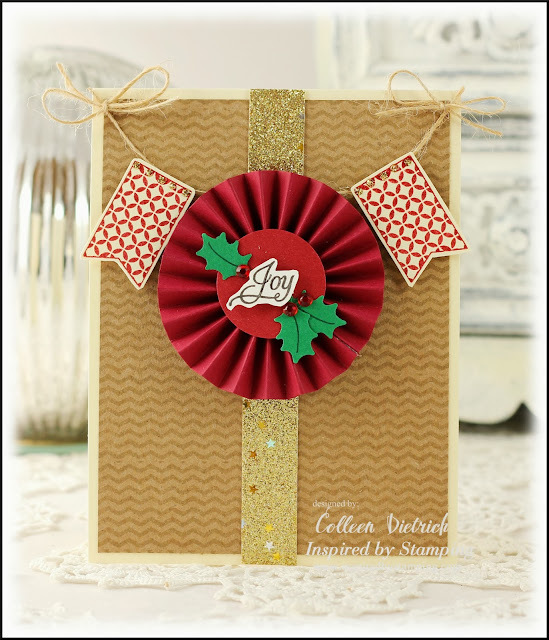 The sentiment from Elegant Christmas Sentiments was trimmed and added, along with holly leaves punched from Original Colormates® Deep Emerald Isle and a few red gem 'berries'. The banners from Whimsical Banners received a touch of gold glitter glue along their tops. A HUGE thank you to everyone at WorldWin for sharing their amazing products and talents with us for this blog hop. WOW!!! I really hope I am on your Christmas list this year!! These are stunning!! Your first card is stunning!! 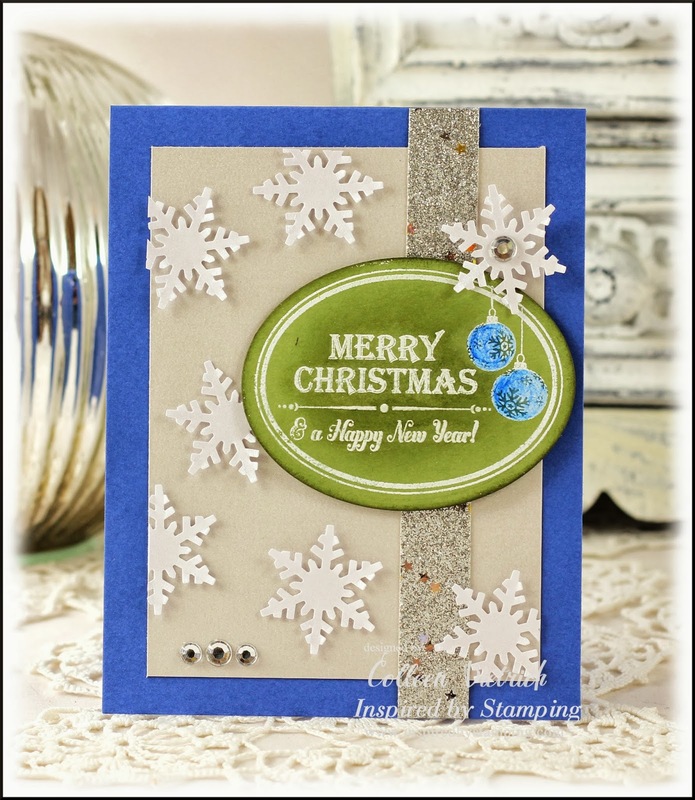 Looks like a beautiful silver Christmas box and I love how you colored the sentiment tag too. Your second card is just as beautiful!!! Love the colors and extra snowflakes. Third card is also my favorite!! Love the stamped background, rosette and banner. Beautiful cards, Colleen!!! Hope your foot is doing better, by the way. Gorgeous all around! Wow! I love that Brushed foil paper on your first card and it makes that beautiful red ribbon pop!!!! Wow wow wowwwwwwwwww! These are all gorgeous! I love love love the banner on the last one!!! Oh I really love these and I'm definetely in love with that sparkly background paper! Luscious! Wow! These are all fabulous! I love the shiny, shimmering papers. They all look so rich. Your cards are stunning. Fabulous cards !! First one looks like a gift box with the luscious bow n classy base,second one has fantastic colors ,loved the glitter n banner on third one !! OMGosh, stunning cards! Love that shimmer cardstock! I love them all but, like you, that last one is so sweet. Just lovely cards, all of them. Oh, the papers you've used are so beautiful! I must see about getting some of them for my cards. Thanks for the wonderful ideas. Three gorgeous cards...but the first one is my absolute favorite. So elegant! STUNNING! Thank you for sharing your talents with us. Wowsers, each card is more beautiful than the one before it. Lovely! Oh wow! These are gorgeous! I love the present look! Pretty cards. The first one is especiall striking. GOrgeous cards Colleen!!!! I love each and every one of them!! Oh my - that gorgeous satin ribbon against the silver is stunning!!! Beautiful Cards Colleen, just love all the textures and details. I love all of them so pretty!!! Wonderful display of the metalic papers mixed with the stamps. Just lovely! The deep red is just stunning. Beautiful cards!! Thank you for the inspiration!!! Oh my goodness Colleen! All three of these cards are absolutely gorgeous. You are right about the papers! They are beautiful! I'll have to check them out. Beautiful cards, love the first one! Beautiful set of cards. Love them all, especially the 3rd one. Beautiful cards, Colleen! Love the sparkly coloring on the first one, that jazzy pop of green on the second and the gorgeous rosette on the third. And the sparkle and shimmer on all of them! Wow, such lovely cards! Each of them is such a lovely design! Love the package feel of the first one! And the snowflakes on the second one!! The rosette on the third is beautiful! Such pretty cards. Hard to pick a favorite! Wow, I think that about sums it up. What a beautiful set of cards. Just beautiful, I can see why you liked the look of the silver card stock, ohhhh I so want. Gorgeous set of cards, my favorite is the first one, love the silver and that gorgeous bow! From all the 3 gorgeous cards, my fav is the second one. Oh, my...they are gorgeous. That blue one really is an eye-catcher!!! I love these cards! So beautiful with nice touches of sparkle and shimmer! Beautiful cards! I love the first one with the pretty paper and bow! Just lovely! Colleen your cards are just gorgeous! I love the elegance of them and the shimmer goodness you've added!